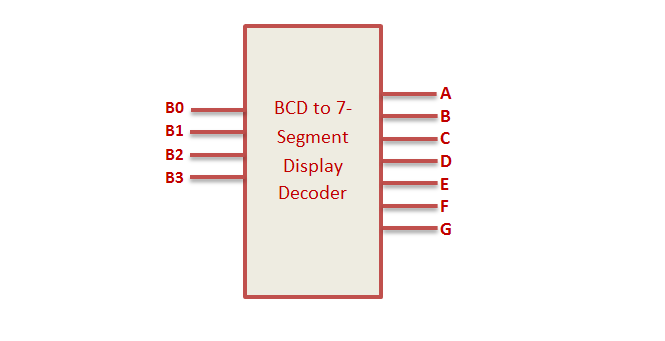 The BCD to 7 Segment Decoder converts 4 bit binary to 7 bit control signal which can be displayed on 7 segment display. 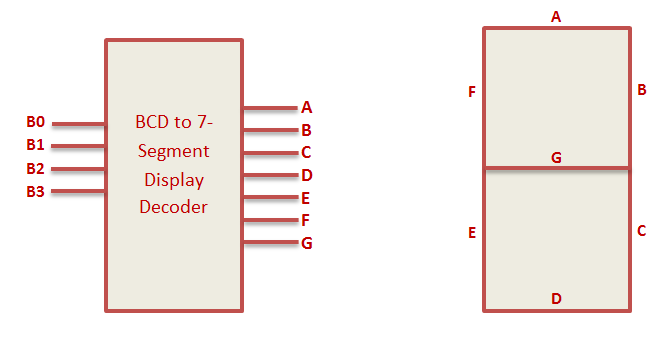 Seven display consist of 7 led segments to display 0 to 9 and A to F.
According to the truth table of this 7 segment decoder, the BCD input “0” is encoded as a dash, because segment G is active. Please not that people assume high-active logic unless stated otherwise. 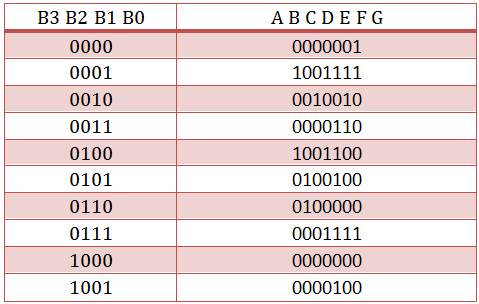 So you should either correct your truth table and equations or state that you are using a low-active 7-segment display. 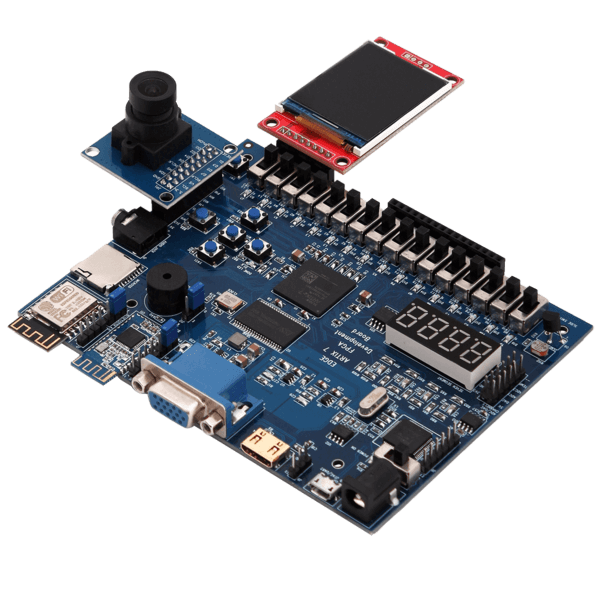 Please note further, that the display itself it not low-active. 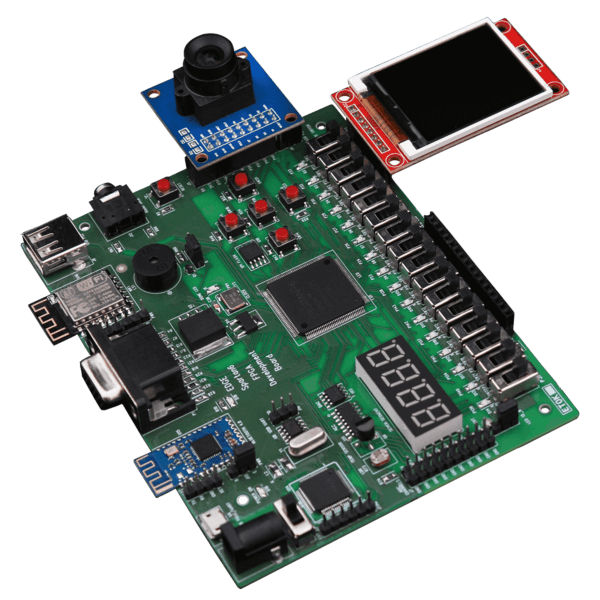 The low-activeness is mostly caused by switching transistors to drive the 7-segment inputs. 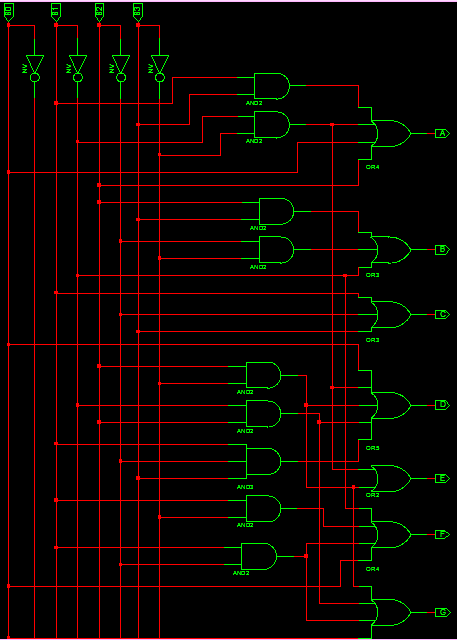 These transistors cause a polarity inversion.